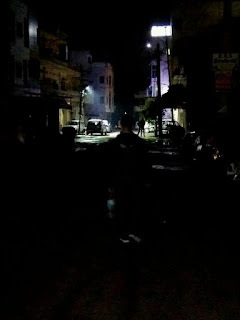 Arriving in Jodhpur was like walking into a cute little thriller novel. The hotel looked nothing like its picture on the booking website. It was a derelict building located at the end of a narrow by-lane where not a single street lamp was functioning. As opposed to the smart, polite receptionists we had encountered at other hotels, the desk here was occupied by a lanky, dark man who had little slits of brown eyes. Train journeys are enjoyable once you resolve the dilemma of whether to concentrate on the book in your hand or on the view outside the window. 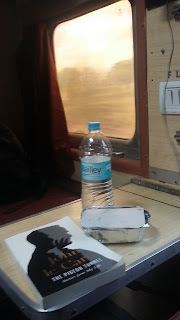 However, that was not the dilemma I battled onboard the Marudhar Express from Jaipur to Jodhpur on day 4 of the Rajasthan tour. “We need a broader concept” I said to Il Sognatore, the dreamer who also had the ability to execute his dreams. While toying with the vague concept of giving people positive news, we stumbled upon many websites (The Better India deserves a mention) that do exactly that, and immediately let go of that idea. At this point, the talk shifted to content in general –web serieses or videos, spoofs that offered a unique take on the Indian society, and the like. Here, there was an interesting place for product positioning.